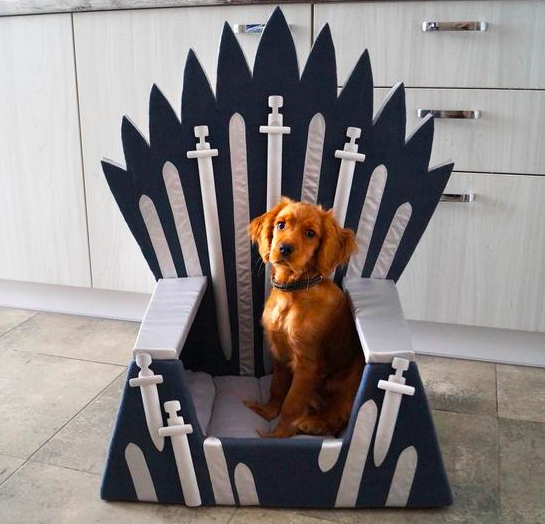 You can buy your pet a bed shaped like Game of Thrones Iron Throne! Game of Thrones fans! 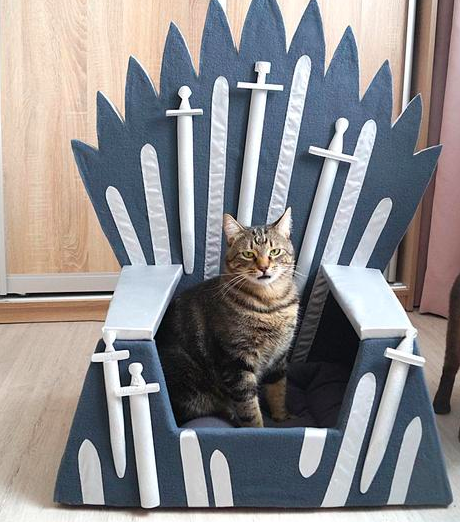 Has your pet got what it takes to be the next ruler of the Seven Kingdoms?! Has your dog the spirit of a Direwolf or your cat the strength of a Dragon?! A company called MadeForPets had the genius idea of making these Game of Thrones inspired beds! They weren’t shy about the asking price either! MadeForPets are selling the beds on Etsy for €248.22! Worthy of a King or Queen! Share the post "You can buy your pet a bed shaped like Game of Thrones Iron Throne!" Previous articleLook at these dog items in Aldi this Thursday! Treat Pooch! Look at these dog items in Aldi this Thursday! Treat Pooch! 89-Year-Old Knits over 450 Jumpers and Blankets for Dog Shelter! The PetDoc Club is the ULTIMATE site for pet owners!